You have signed up for group classes; found a private coach; bought new skates; shopped for dresses, guards and gloves; and driven your skater enough miles to and from the rink to qualify for a commercial driver’s license. You finally feel like you have the routine down and everything under control. And then the coach throws a monkey wrench at you. Your skater is now ready to compete. Yikes! Now what? If you never participated in a competitive sporting event as a child, you might feel as if you are navigating uncharted territory. And even if you did compete as a youth, your role as a parent will be significantly different. You will want to do your best to help your skater meet this new challenge, so you will want to know what to expect. The coach may ask you to fill out the entry form for the competition, or you can do it online. Either way, she will need to verify the level and events your skater will be doing before the entry is finished. Be sure to take care of completing the entry before the deadline as you do not want to incur late fees. 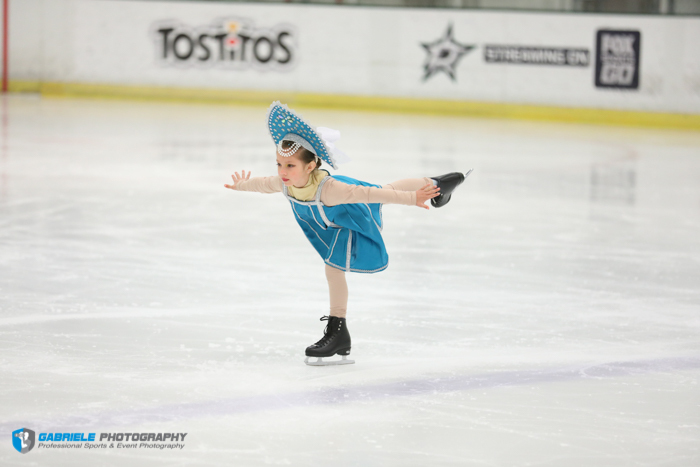 Your skater will begin working on a program of elements appropriate to her tested level. During this time, she will be learning to put the skills she has mastered together with music and choreography. If your skater is very young, she may need some help in remembering the order of her elements. As a parent, you can support this by asking the coach for a written program plan and by talking the order through with your skater at home or on the ice. If the skater is older, you can simply involve yourself by offering to be her audience as she practices. Always remember to leave the coaching to the coach. Your role at this time is just to support your skater. Make sure you get her to the rink for all scheduled practices and lessons. While this is always important, it is particularly critical in the weeks leading up to the event. The coach has a plan for your skater, and excessive absences will jeopardize the preparations. Also, during this time, be sure you check with your coach before you purchase new skates or even take the current ones for sharpening as this can dramatically affect your skater’s ability to do her best. The special day has arrived and everyone is excited! Since this is your skater’s first competition, she is probably going to be a bit nervous. She may have even forgotten to eat or say she can’t. It is important that you encourage her to have something, even if it is light. Try to keep the day as normal as possible and your conversation as positive and reassuring as you can. If she expresses fear about falling or forgetting her program, make sure you focus on her hard work and assure her that her coach has prepared her well. Your main job now is to make sure that you know where you are going and when you need to be there. Most coaches ask their skaters to be in the building one hour before the scheduled start of the event warm-up. This is a good rule of thumb as competitions can sometimes run early, and the last thing you want to do is have your child stressed because your coach is rushing her onto the ice the minute you arrive. It is best to get to the arena with plenty of time to check in both at the registration desk and with the coach. The registration is usually well marked and centrally located in the arena. This is often where your skater will check in and turn in her music (at larger events, the music registration is sometimes in another area). Some competitions will give out goody bags and programs, but regardless, they need to know that your skater is there. panel, so it may not be possible to speak with her at that time. If this is the case, stay with your skater and pay attention to the schedule. 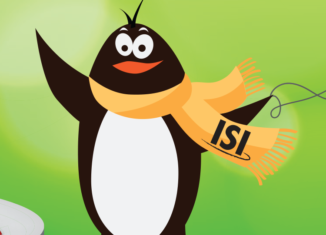 As you get closer to the warm-up time, help your skater get her skates on. If you are tying her skates, be sure to do it the same way you always do, or if she normally does it, let her take care of it. It is best not to change the way she prepares to skate. At some point, usually several minutes before the warm-up is slated to begin, the coach will be looking for your skater. This is the time that you will turn her over to the coach so they can begin their preparation together. They will enter into an area that is reserved for coaches and skaters only. You will not be permitted to follow them into this area as it is usually quite busy with skaters, coaches and ice monitors trying to help the skaters get on to the ice well prepared and in order. Once you have wished your daughter well, it’s time to take your seat and get ready for her performance. After she performs, you will have plenty of opportunity to congratulate her on a job well done — and again, focus on the effort, not the outcome. At most competitions, the results are posted on the wall in a common area, often near the awards table. ISI event results are listed in order of placement, first through fifth, with all others in the group listed as sixth place. You will notice a number next to your skater’s name. This corresponds with the number of points she has just earned based on her placement. First place earns five points, second earns four, thirds earns three and so forth. All skaters earn at least one participation point as well. These points are awarded to your skater’s team or rink and added to a grand total at the end of the competition. Rink teams are then usually awarded trophies for top placements. 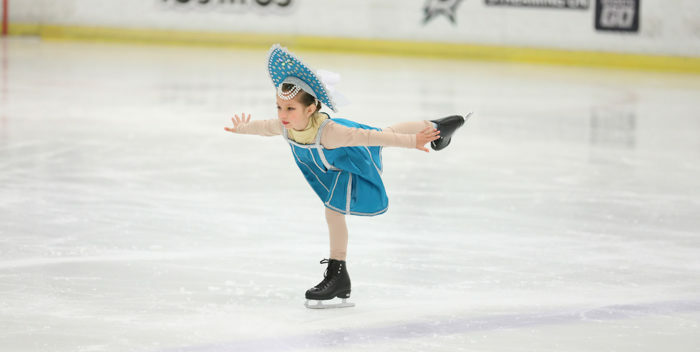 Be sure to remind your skater how important her effort was for the team and help her focus on that, particularly if her program didn’t go as well as she had hoped. The fact that she went out there and tried was still a help to the team and she can share in that reward at the end of the day. Knowing a little about what to expect before the big day should help you feel more confident and excited for your child, and that will most certainly add to her confidence as she begins her competitive journey. Kim Hansen is ISI Skating Programs and National Events Director.